Joseph Patrick Franzone, Jr., 35, of Bridgeport, Montgomery County was arraigned today on one charge of theft. 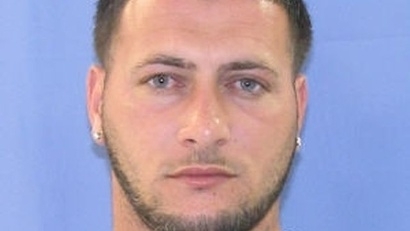 He is accused of stealing thousands of dollars worth of checks and cash from a weeding reception at the William Penn Inn in Gwynedd on July 7th. However, this doesn't seem to be his first time. Once his picture appeared in media, witnesses recognized him for another wedding theft. On June 22nd, a man stole the cardbox from a reception at the RiverCrest Golf Club and Preserve in Upper Providence Township. His is also a suspect in a possible third incident. He remains in jail. Jason Peters settled a civil lawsuit today with the makers of the Roll-A-Bout, a crutch alternative on wheels. The 6-foot-4, 340-pound tackle was using a Roll-A-Bout for three weeks after he ruptured his Achilles tendon when it broke. They are rated for 500 lbs. He missed all of the 2012 season after re-injuring himself. The settlement was for $2 million. On another note, Peters had street racing charges dropped today and paid a fine of $656.50 for illegal aftermarket parts. Excessive Heat Warnings continues through Friday at 8pm. Thursday and Friday will be the hottest of the week with heat indexes around 105-107. Make sure to drink plenty of water and stay inside during the afternoon. If you do not have AC try to find a your local cooling center at the library, community center, or school. Check on your elderly neighbors as well.